Since its creation, the Toyota Tacoma has been recognized for its multi-faceted nature. From tackling bumpy off-roads with confidence to delivering impressive towing capability, the Toyota Tacoma does it all with style. Toyota’s sleek pickup received a variety of updates in 2018 and gets even more new features and technologies for the 2019 model year. For 2018 the most notable addition was Toyota Safety Sense P, but for 2019 the most significant updates are made to the TRD Pro trim. 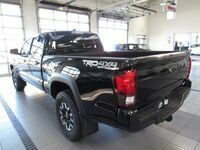 Other significant additions to the 2019 Toyota Tacoma include a new SX Package that blacks out a variety of exterior details, including the Tacoma’s overfenders, headlamps, door handles and more. In addition, all 2019 Toyota Tacoma trims also receive two more USB ports for the model year. That said, here are some of the other distinctions between the 2019 Toyota Tacoma vs. 2018. That said, every 2019 and 2018 Toyota Tacoma model comes equipped with a long list of premium entertainment and convenience technologies. Even the base SR is standard with Siri Eyes Free voice control, a backup camera, an Entune stereo, heated power-adjustable side mirrors and much more. 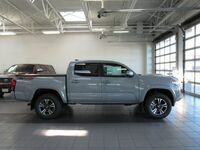 Both the 2019 and 2018 Toyota Tacoma are also available with Utility and Premium & Technology packages that add even more high-tech features to the pickup truck. 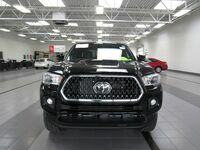 We invite you to compare the 2019 and 2018 Tacoma with a test drive at Le Mieux Toyota in Green Bay, WI. 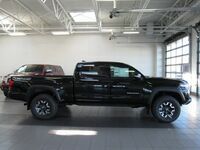 Here you will find a great selection of vehicles and a helpful team of experts who can answer any questions you might have along the way.